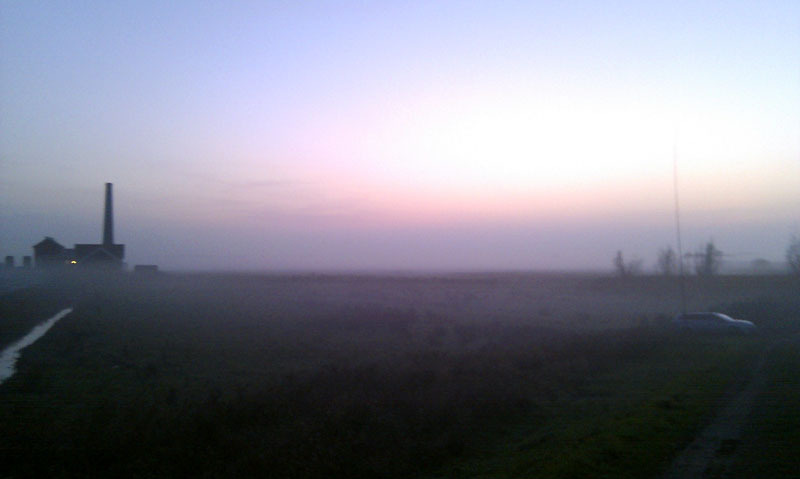 With some unexpected free time on my hands I headed over to PAFF-044 (Arkemheen) on November 18. Arkemheen was one of the few unactivated WFF areas in PA-land left and the last one relatively close to my QTH. After studying the map I found a nice operating spot near a water pumping station. I was hoping to set up my antenna directly on the water's edge. Theory and my experience tells me that this helps getting ur signal across the globe (I noticed this for example in June when I activated PAFF-014). However the water I was hoping to use was hidden behind a dike that was only accessible by bicycle. So I set up my station directly behind the dike. 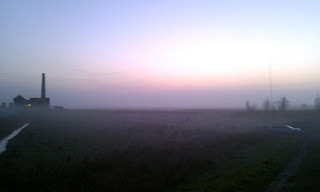 I had beautiful views from my operating position that got even more special when the sun set and fog came in. I started out at 15:00 local time - a good time for the higher bands. 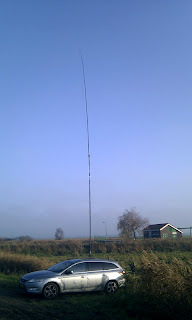 I decided to start on 15m hoping on some DX passing by. Of course I was greeted first by Luciano I5FLN. In the following hour I worked 80 stations including DX from North America (up to Arizona) and Puerto Rico - max QRB 8800km. After an hour I decided to go down to 20m - usually the busiest place for WFF. There was quite some activity, so no time to get bored. I worked 79 stations in one hour. Luciano was again the first OM to pass by. 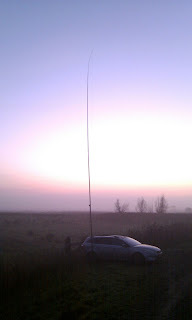 Conditions were okay - good enough for strong signals from stations throughout Europe. 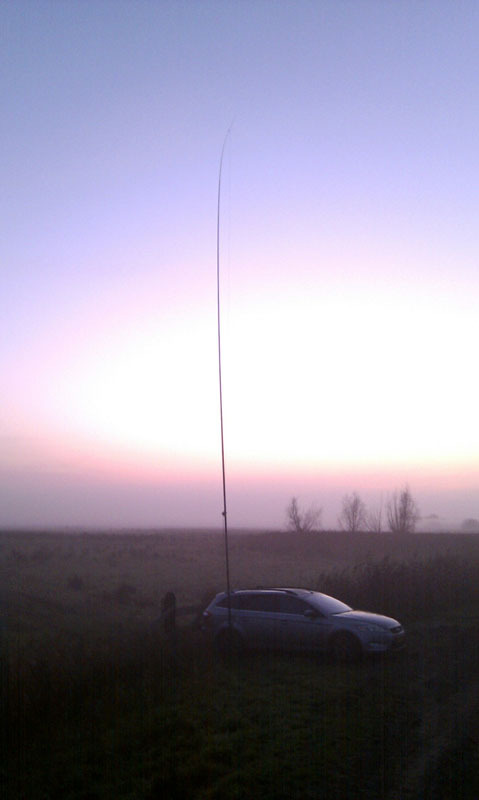 Apart from a booming visit by W1YY/7 (Washington state, 7800km) and only 2 stations from Assiatic Russia there was no DX to be found. It was just past 17:00 local time and it was getting darker - so, time to move lower once again. 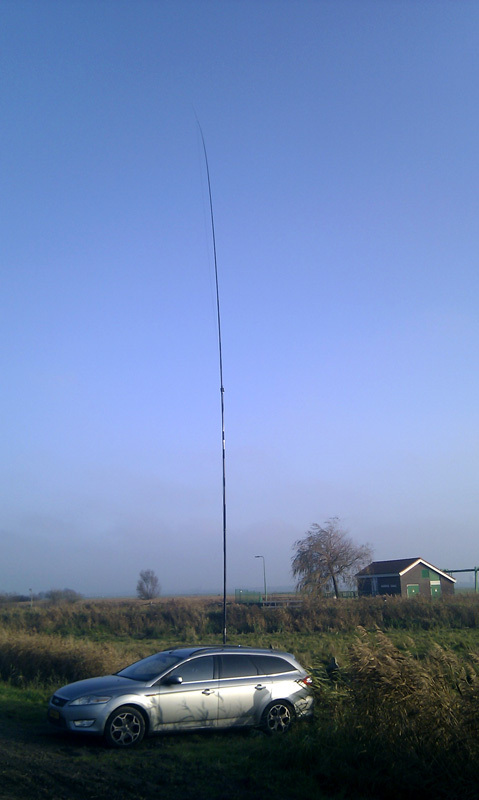 I went to 40m to find out conditions were very good on this band. Starting at 17:20 I worked almost 100 stations in one hour. After a couple of minutes the traffic was so crazy that I had to call by numbers - a new experience. Apart from a couple of OMs that don't grasp the concept of numbers or simply don't listen this worked very well. When I had to close down my station to head home, there were still stations calling. Crazy. Really. And Luciano? Of course he came by on 40m as well. Other duties kept him from being the first one this time though. The stats for this activation: 242 stations (254 contacts) from 38 DXCC entities in 3 hours of activity with a maximum distance of 8700 km into Arizona. Thanks everyone for calling in!